Kiki is a San Rafael Native who attended Terra Linda High School, before graduating in 2000 and attending UC Berkeley on a full athletic scholarship for basketball. At Cal, Kiki obtained a B.A. in Sociology and her M.A. in Education. Following Cal, Kiki Attended UC Hastings, College of the Law, graduating in 2008. Kiki worked as a civil rights attorney for seven years before transitioning to the educational sector to do legal compliance work as the Director of Equity at San Francisco Unified School District. 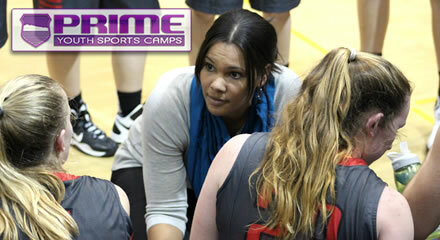 Diane was hired as Redwood High School's Varsity girls basketball coach in 2009. Kiki immediately joined on as the assistant coach and the two have been leading the program since. The year before being hired as the coaches, the Redwood High School girls' varsity team's record was 12-14. Since taking the helm, Kiki and DIane have catapulted the program to the top ranks of the Marin County Athletic League (MCAL). The Giants have been in the playoffs and have qualified for North Coast Section inn each of the seasons they have been coaching. "I have known Diane and Kiki for more than twenty years. I can tell you with the utmost of certainty that these two energetic women are second to none when it comes to being positive role models for young people. Great enthusiasm, tremendous leadership skills, and a fantastic sense of humor are just to name a few of the outstanding attributes Diane and Kiki possess." "After four years of playing for Kiki and Diane I can truly say that I am not only a better player, but a better person. The two instill a sense of competition and dedication into everyone they coach. I loved every second of playing for them because what comes first to them isn't winning. It isn't always about the score, but about having fun and creating a family. You can tell how passionate they are about the game and their players." "I am excited for all those girls who will be a part of the camps that involve both Coach Diane and Coach Kiki. They both have such great energy and dedication in their coaching that the girls who do the camps will benefit on so many levels while having fun. Sports is a great landscape for teaching life skills." 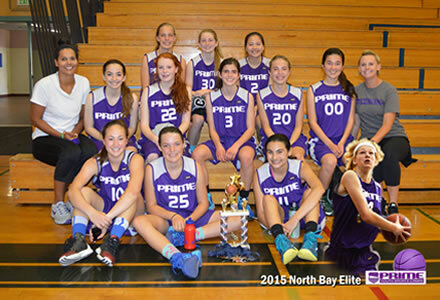 "I have been fortunate enough to have been coach by both Diane and Kiki. Kiki and Diane helped me gain a deeper and more cohesive knowledge of basketball, a mastery of important skills, discipline, and overall what it means have sportsmanship. I have never had more fun playing basketball in all of my previous years than I did playing for Kiki and Diane. These two coaches know how to make sports entertaining and enjoyable. Even though I did not continue with basketball in college, they have had an incredible impact on how I carry myself as an athlete." In addition, multiple multi-sport athletes that have played for Diane and Kiki have gone on to play various sports at the Division 1 college level.